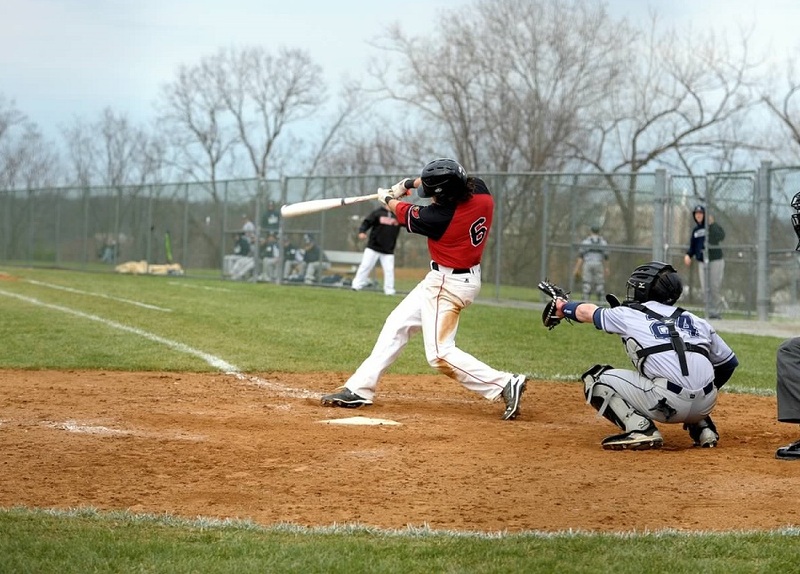 In a back and forth affair, the baseball team at the Catholic University of America came out on top against the St. Mary’s College Seahawks on Sunday, March 13th. The win is the team’s third in a row and fifth out of its last seven games. CUA moves to 7-5 in the early stages of the spring campaign, while the loss drops St. Mary’s overall record to 4-11. The Cardinals opened up the game with three runs in their first at bat as the visiting team, but the Seahawks responded well and got to Catholic’s starter, freshman Mason Belcher, for four runs of their own. The 4-3 score after one frame started a trend that did continued — each time one team would score the other would match their efforts to tie the game or take the lead. It took 9 innings, but it was the last team to had a runner cross home plate that came out with the win. A ninth inning RBI single from freshman infielder Ryan Tracy proved to be the difference in the victory, as closer Joe Salzano did the job in the bottom half to preserve the 8-7 win. A double, a single, and a single, all to right field, is how Catholic set the tone in the first three at-bats of the game. The top of the lineup led the way all afternoon; John Palladino, Eric Scarmardella, and Bailey Lewis would go on to combine for eight hits and five runs as a unit. The Cards would knock five hits in the first frame to go up 3-0. A tough outing for Belcher that involved four walks and four earned runs was cleaned up by senior Josh Martin who came in for a long relief situation. His 4+ innings pitched were needed to keep Catholic in the contest. The scoring resumed in the top of the fourth inning, and it started with a 2-out single from Tracy to turn the lineup back over to the top. Palladino followed suit with a single of his own, and then both runners advanced thanks to a balk by the St. Mary’s starting pitcher. Scarmardella came up big in another scoring opportunity with a 2-RBI single. The Cards got it all done with 2 outs and retook the lead. A sacrifice fly from junior Brett Padula in the 5th put Catholic up 6-4. The Seahawks answered the challenge with three runs of their own on four hits and one error from Catholic in the bottom half of the 5th. The home team enjoyed the 7-6 lead for only a brief time as CUA pushed a run across in the very next frame to tie it up once again. After seven innings there was no winner, so the game called for free baseball. Sophomore pitcher Sean Carroll threw 2+ innings of scoreless baseball in extras and left it up to the offense to win the game for him. In the top of the ninth, it was the last man in the lineup to get the run the team needed. Sophomore infielder Matt Hsiung led off the inning with a single, and Padula executed a sacrifice bunt to move the runner up to second base. Tracy delivered with a single to center field to drive in the leading run. Salzano replaced Carroll for the save situation in the bottom of the ninth. The 2015 First Team All-Conference pitcher did not cause any late-game anxiety for the CUA coaching staff and parents; the closer retired the three batters he faced. Catholic picked up the exciting away victory, 8-7. The Cards will be back in action on Saturday, March 19th for the beginning of Landmark Conference Play in a three game set against the Greyhounds of Moravian College in Bethlehem, PA. The games are slated for 1 and 3:30 PM on the 19th, followed with the third game at 12 PM on Sunday, March 20th.